The Nokia 6.1 is already an affordable piece of mobile computing hardware with decent mid-range specifications and if you want a free gift from B&H, here is another deal that you can treat yourself to. So what is the free gift that you’re entitled should you make the purchase from B&H? It is a Magnus MaxiGrip Flexible Tripod for a stellar combination of stability and versatility, a Xuma mount for absolute stillness, and a Xuma Mobile Daylight Balanced LED Light system with 48 ultra-bright LEDs. 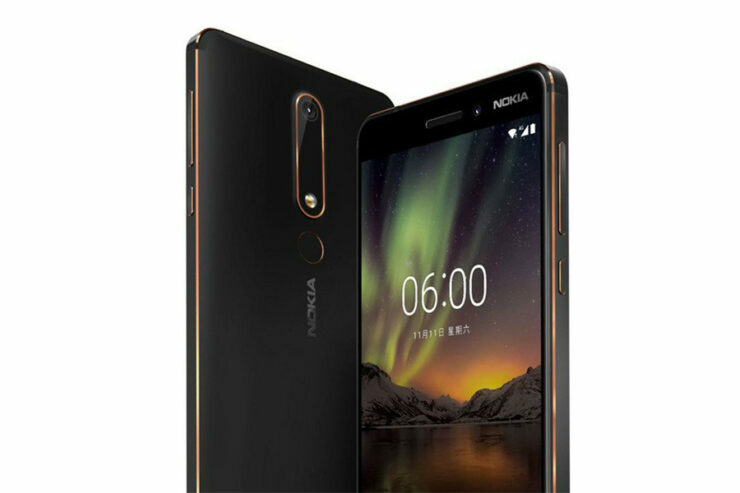 As for the technical specifications, they are similar to that of Nokia 6 (2018). It has a 5.5-inch Full HD IPS LCD screen with Corning Gorilla Glass 3 on top of it. The phone is powered by the Snapdragon 630 64-bit octa-core SoC. For graphics processing, it also has an Adreno 508 GPU. The phone has 3GB of RAM and 32GB on internal storage, which might not seem like much, but it is expandable up to 256GB. The battery is 3,000mAh and it takes just an hour to fully charge the phone. There is a 16MP Carl Zeiss camera on the back with an LED flash. The selfie camera is 8MP, which was also devised by Carl Zeiss. There is also a ‘Bothies’ option present. Luckily for those who do not like using adapters, the phone has a 3.5mm headphone jack, along with a USB Type-C port on the bottom. There are two SIM slots, but the second one can be used as a microSD slot too. The Nokia 6.1 retails for $269 but if you do not want to purchase it from B&H then you can certainly check out the other online retailers linked below.